Case studies of D.L. Steiner electrical engineering projects provide testimony to the success of our Electrical Safety, Energy Efficiency, and Electrical Reliability services and products. An aggregates facility in southern Ohio was experiencing unacceptably high monthly electric utility charges due to wide variations in its electrical demand rate. The company--one of the largest construction materials companies in North America--turned to D.L. Steiner to design a system that would enable personnel to know when the utility’s kW demand rate monitoring intervals began and ended so they could adjust operations and even out electrical demand. A challenge for this application was the remote locations of the facility's production processes. D.L. Steiner designed a wireless solution that provided real-time tracking of the utility start/end interval pulses, as well as an accurate picture of the electrical demand during these periods. This allowed the facility to spot and smooth out excessive demand peaks for lower overall electrical demand rates and much lower electric bills. 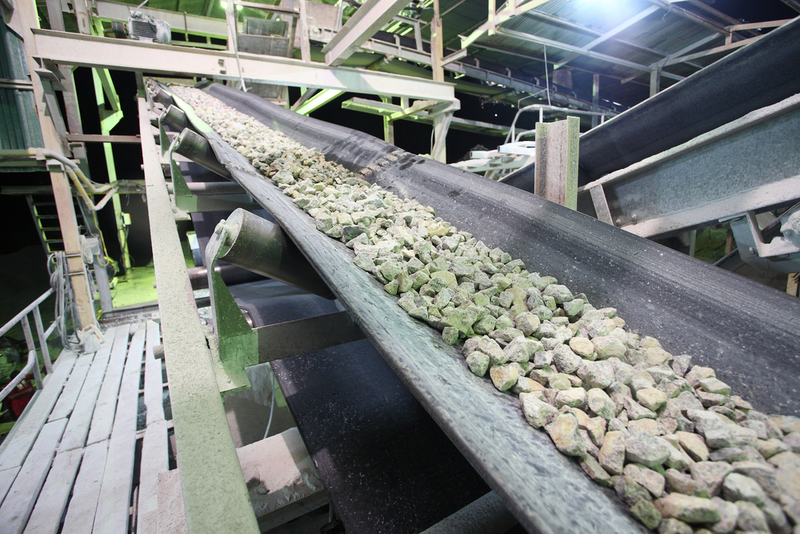 The aggregate facility's demand control system cost approximately $14,000 to design and install. Our client estimates that the southern Ohio facility saved approximately $40,000 in electric service charges during the first year the system was in operation. In 2006, D.L. Steiner completed arc flash analysis at an appliance manufacturing facility in Northwest Ohio. As part of the final report, Steiner included recommendations to mitigate (minimize) the incident energy available during a fault at certain points of the facility's electrical system, thereby reducing the arc flash hazard category when possible--a standard feature in D.L. Steiner's arc flash studies. D.L. Steiner recommended the addition of a protective relaying system for use during electrical system maintenance. Protective relays can be used for temporary maintenance activities on isolated sections of a facility's electrical system. Such relays provide increased protection for electrical workers against arc flash hazard during activities which would normally increase a worker's exposure to the risk of an arc flash incident or accident. In effect momentarily decreasing the arc flash Hazard category for certain parts of the system, these installations can play a large role in preventing electrical accidents in the workplace, especially during times when an electrical worker is most vulnerable--during work on or near live equipment. After a system phase-to-phase fault, during which a buss-way-mounted breaker was badly damaged, work was being performed to replace the equipment, while the buss way was deactivated. The work took place in close proximity to a separate, live buss. The protective relay system that D.L. Steiner had recommended was in use at the time on the live buss, reducing the arc flash hazard category. While the maintenance was being performed, another fault took place on the nearby, live buss. There was an arc flash, but it was limited by the more sensitive (faster tripping) protective relay. Had there been no protection--no protective relay--there most certainly would have been an arc flash capable of injuring the nearby personnel, who were only several feet away, and resulting in more damaged equipment (and more unplanned maintenance expenses). In this case, equipment damage and worker injury--or worse--were avoided using a simple-yet-effective, means of protecting workers from an electrical hazard in the workplace. If you are currently looking for an arc flash hazard program to implement at your facility, it makes sense to ensure that arc flash mitigation recommendations are part of the report provided by the arc flash contractor. A grain-ethanol distillation facility in western Ohio had two problems with one of its indoor processing areas: poor lighting (the area was perpetually dark) and excessive electric costs, due to the existing high-pressure sodium lights used in the high-bay fixtures. The facility asked D.L. Steiner to find a solution that would improve illumination while lowering the area’s operating costs for lighting. D.L. Steiner first looked at a fluorescent system and found that, while fluorescents would improve visibility and lower lighting costs by 25%, their performance rating was inadequate for the extreme temperatures in the high bays. Further study led D.L. Steiner to an LED-with-occupancy sensor solution. While initially more expensive than fluorescents, the LEDs provide a better light output quality while reducing lighting costs by 60%--more than double the savings of the fluorescent lamps. Their service life is also five times that of fluorescents for much lower maintenance costs.